Sunday night I had the good fortune to see an amazing performance by a relatively unknown, new band in a positively tiny club. After sitting through two opening acts—one terrible, the other laughably forgettable—the stage was cleared and four guys from New York collectively known as Longwave took their places under the lights. From the opening chords of the first song it was clear to the lucky few that we were in for an exclusive treat. The Snow Patrol influences are obvious (but definitely not the only thing this band has going for them): atmospheric guitars, pounding drums, interesting introspective lyrics, and songs that often start as a whisper, and crest at full throttle, like foamy water that’s stretched up the beach as far as it can go and and then gently subsides back into the surf. Sunday night at DC-9 was a classic case of watching a band that has outgrown the limitations imposed on it. The sound was expansive even though the stage was small. The audience was receptive, but it should have been explosively responsive. 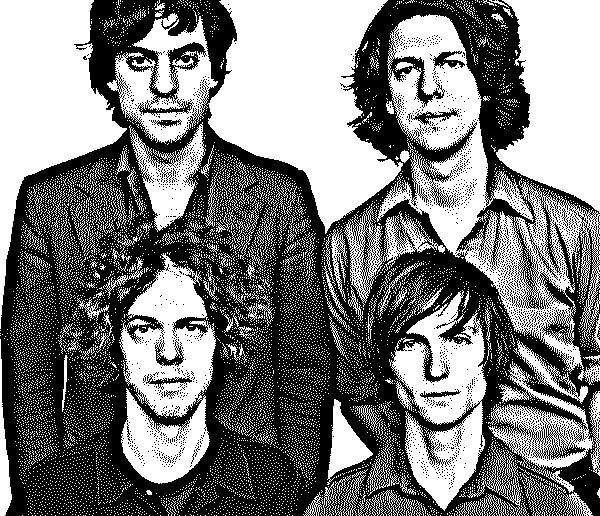 I can say with confidence: Longwave is going places — and if they don’t, it’s a cryin’ shame. it’s something much, much more significant, timeless, and historical. The Happy Medium Song of the Day is “Tidal Wave” and it comes from Longwave’s second album, The Strangest Things.